Stretchy bracelets are made from hand painted ceramic and paper beads in red colors. 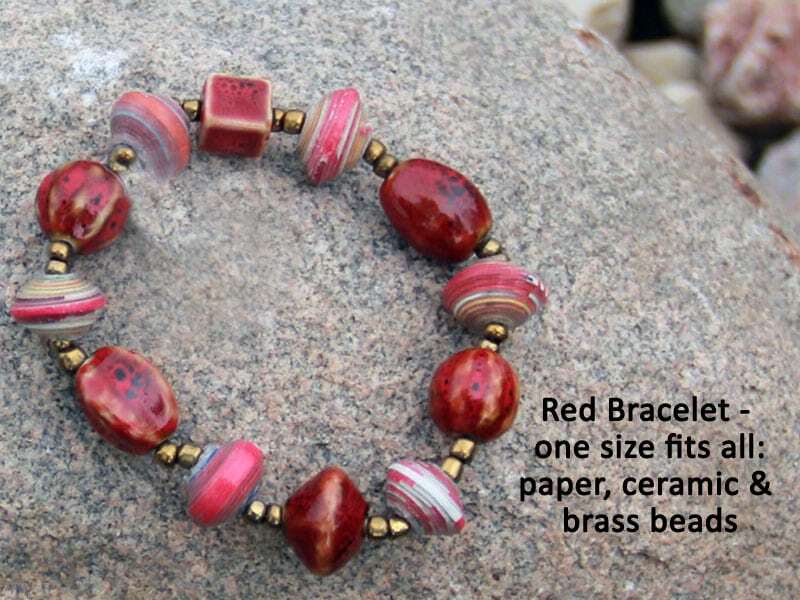 Brass spacer beads make it sparkle. 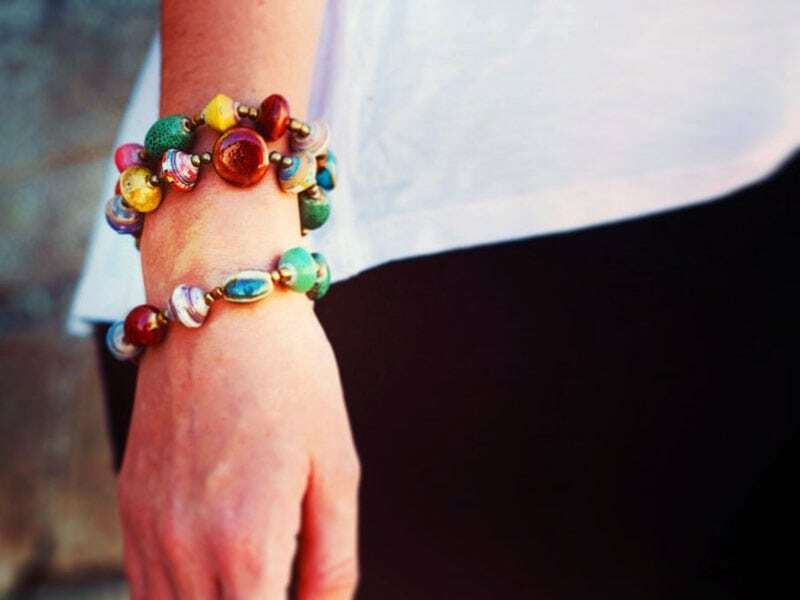 Once size fits all — stretches over fist. Papillon Enterprise makes this bracelet & is a social, ecological business providing jobs to dozens. 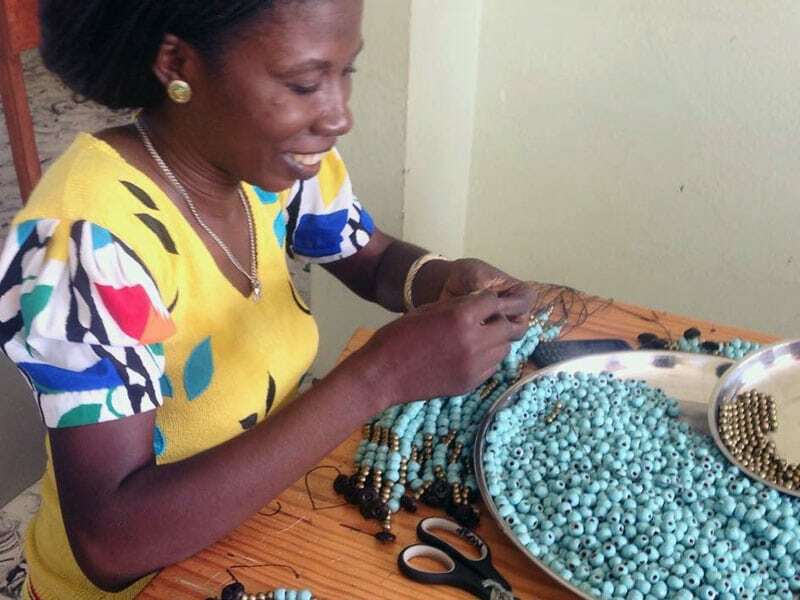 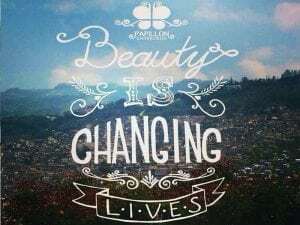 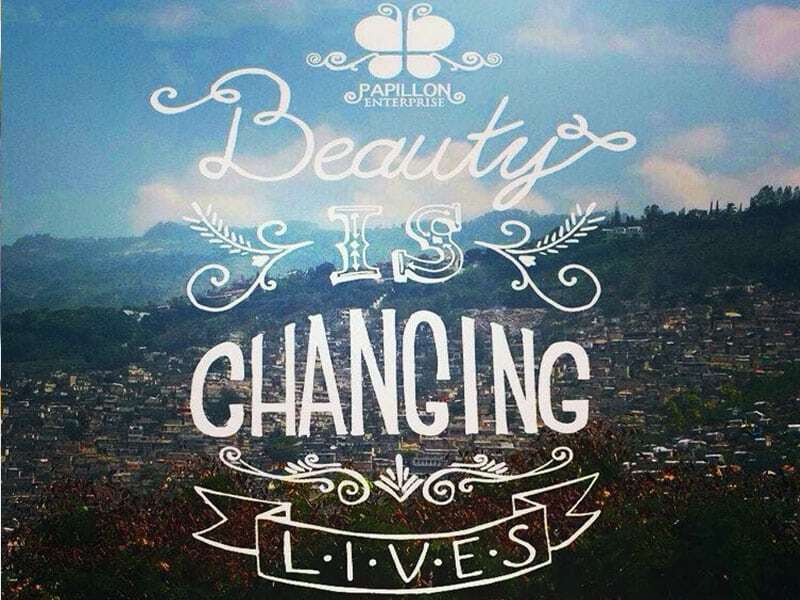 Read more about Papillon Haiti and how they’re transforming lives with beauty.